I love accessories, sometimes they can take that simple plain outfit and make it say everything. Lulu Guinness is one the UK's most known fashion accessories designer, her designs are fun and feminine and don't stray too far from the mould. I've always adored her designs, ah not much I would throw down the ££ for but given the chance I wouldn't mind. Browsing JULES B*, who are Lulu Guinness stockists. I found a few picks I liked for this wishlist post. Who doesn't have a make-up bag, yes we spend most of our minutes of the day searching through them, cleaning them and it's normally near the top or side of our bag. We love our cosmetic bags - I know I do. So why not have a bag that's cute & playful? As soon as I saw this, I had an image in mind, well I was stick thin, leggy and modelesque and was wearing a body con fitted dress but I saw myself with this just there, on my shoulder with a lipstick bullet as my charm, my life couldn't fit into this but it will put me in training on how to 'travel light' but then I noticed, it's 100% leather boo. 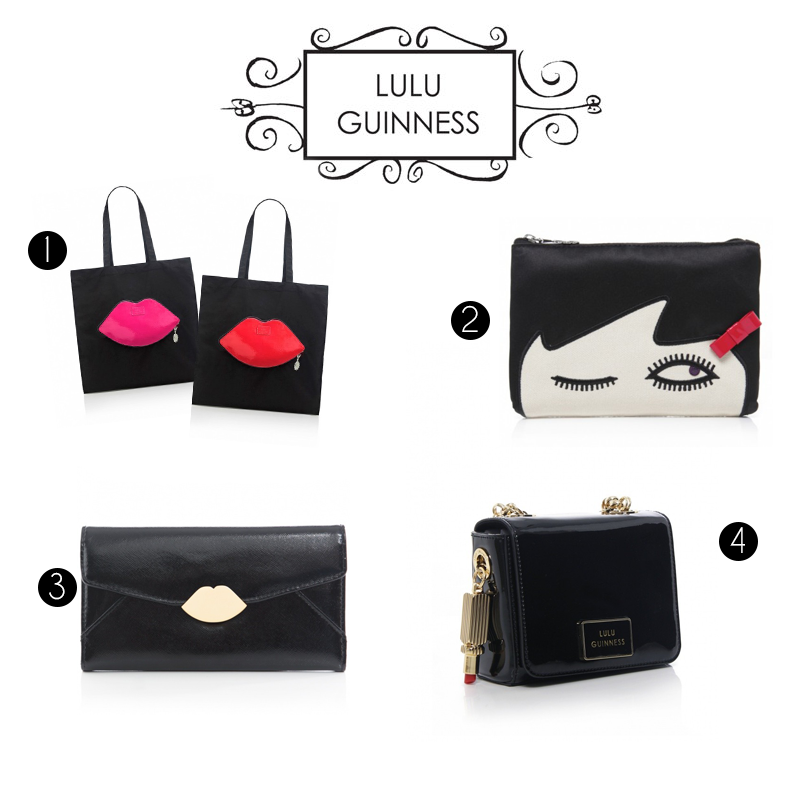 What do you think of the Lulu Guinness bags?